I bitched in this post about the British making us Americans the bad guys and how unoriginal that is, and the same day I posted that, this article below was printed. Wow I was more right about the lack of originality than I realized. I’d forgotten about this. Yes, I was guilty of forgetting about this! LOL! The most dastardly villain in Ridley Scott’s new Robin Hood movie – Sir Godfrey, who plots to betray his country to the French – is played by the British actor Mark Strong. Well, fair enough: he’s an English knight, albeit probably of Norman descent, so you’d expect an English accent. But, hang on, Robin Hood and Maid Marian are English, too, and they’re played by Australians – Russell Crowe and Cate Blanchett. And Sir Walter Locksley, Marian’s father-in-law, is played by Swedish actor Max Von Sydow. So what, you may ask. This, however, raises the question of why we’re such easy targets. I mean, why pick on us? Oh, and he does go on to explain why, in his opinion, and of course it involves us being dumb. You do know that we’re all dummies over here who can’t grasp anything that’s nuanced? LOL! What had me laughing is that Mr. Norman and Ms. Mirren don’t get when the English are being complimented. So much for understanding subtlety. Sure we could have had an American or someone else playing baddies, and we have. But they’re not nearly as cool as the English baddies. We love those guys! I mean we darn near root for the English baddies. Well, yeah, sometimes we do root for them. I guess I should have known the English didn’t get it when they have such dumbass Americans as their bad guys. By the way, anyone who makes Toby Stephens look like a dumbass ought to be ashamed of themselves. Gee, it couldn’t *possibly* be because America has been acting, at best, in a morally ambiguous way on the world stage since the Cold War and other nations might resent us for being the 800 lb gorilla, and since 2000 often a rather hypocritical, belligerent, and stupid one, could it? Why it the world would anyone be blaming us for anything? We’re so sweet and pure, upholding the ideals of democracy. Why would anyone want to point out we are rolling around in bed with the most repressive regime in the Middle East and doing back deals with nasty people? The British paid the social price for their imperial ambitions, its now our turn. hah! try being German (not literally :D).. I’m not even talking about war movies (natch “we” were the baddies) but, for example, Hans Gruber?! I dearly love Alan Rickman but why can’t they cast German actors (and the likes of Ralph Möller do NOT qualify) in German roles instead of painstakingly and mostly unsuccessfully trying to teach English native speakers somewhat believable German (I know how hard that is)… no idea. I guess 99% of the audience wouldn’t know the difference but it keeps annoying me. At least German baddies are clear-cut (or properly stereotyped) though – I don’t remember a single one who had moviegoers root for him. @anonymous, I hope the things I write are lighthearted and the fact that I laugh while I’m writing most of these pieces comes through. While your comments may be dead on in some respects, I want to keep this blog lighthearted. I think you and others will enjoy it more if it is. I am puzzled by the English complaint that Americans “always” portray the Brits in a bad light. They are our allies, we know that. But we also portray our own govt in a negative light too (anyone watch 24?) And as for complaining about why British actors are given the roles of the bad guys in those particular movies, well Hello! It’s Robin Hood! The whole thing should be British! The complaint would have more weight if the Brits questioned why the good guys weren’t British too, instead of why the Bad guys were British. Plus, in the most recent Robin Hood, RH and Marian were played by Australians, not Americans. In fact, Russell Crowe was a producer on the movie. It’s got nothing to do with Americans being anti-British. I mean, Sherlock Holmes another movie where Mark Strong played the bad guy, also had a Brit playing a good guy (Jude Law as Watson). But if UKers (I am not a dumb American, I realize that is not a word, just my short hand) complain as to why Holmes was portrayed by an American (Robert Downey Jr.), well maybe they should ask Guy Ritchie (who directed and/or produced the movie,) a fellow Brit! Phew! Enough said on that topic! I also think people have difficulty separating actors, from scripts, from characters, and sometimes even history. I mean, if you’re going to show a story set in pre-civil war Southern USA, then yeah, caucasians aren’t exactly going to be shown in a positive light. I mean, who in their right mind is going to defend slavery today?! I hope you both know I only said that about shutting up in regard to this subject. Believe me I’m not going to shut up. LOL! I cringe when I think of Kevin Costner in that role. But then I’ve never been a big Costner fan. Probably his best roles were in ‘No Way Out’ and ‘For Love of the Game,’ and then it was because the writing was so good and not because of him. No offense to Kevin personally. 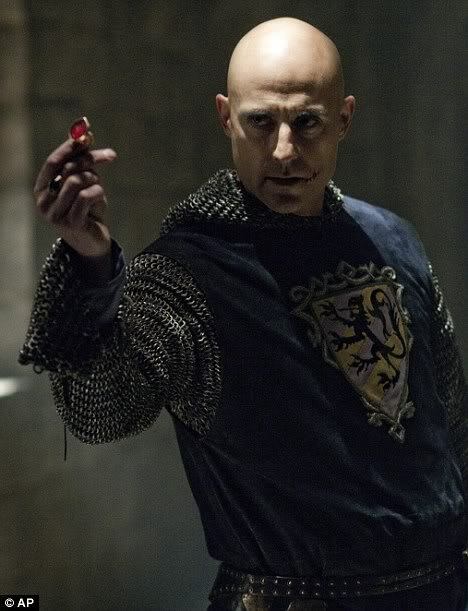 Oh, and I meant to put something about Mark Strong in my post. He’s my favorite Mr. Knightley even beating Jeremy Northram. 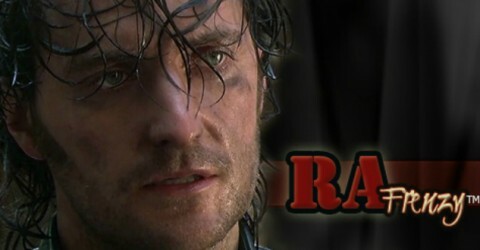 I would have so loved to have seen RA play that part! And yeah, I think the general consensus is that Costner’s accent pretty much sucked! Well, hey, I kind of got my knickers in a twist too, so now I’m deciding to relax. LOL!